Classic Design 18 Karat white gold diamond wedding band finely set with 13 sparkling round brilliant diamonds totalling 0.16 carat. 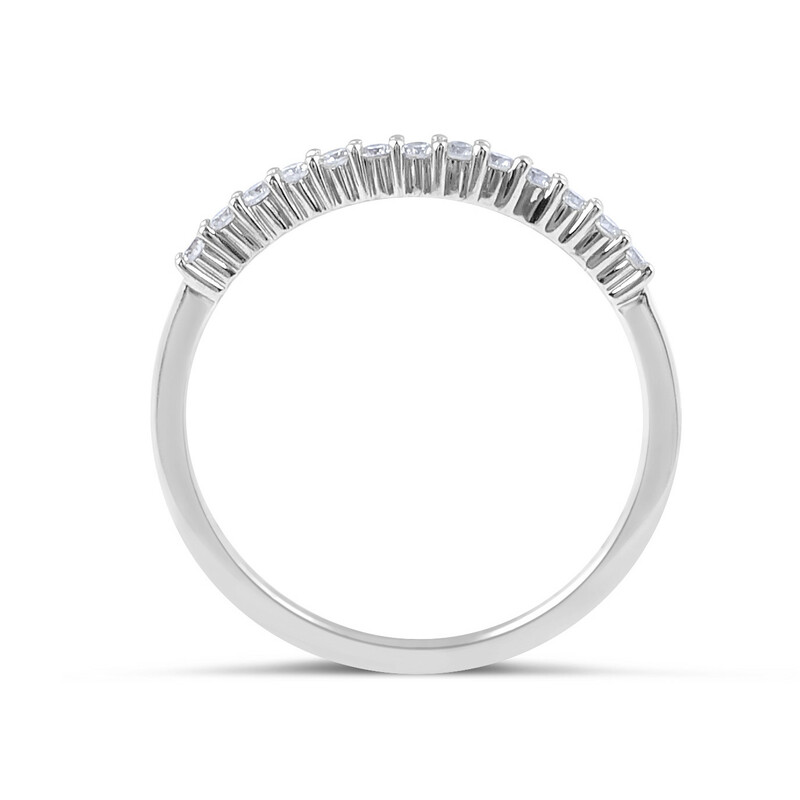 The slim band and the fine share prongs setting gives the ring a timeless and elegant finish. 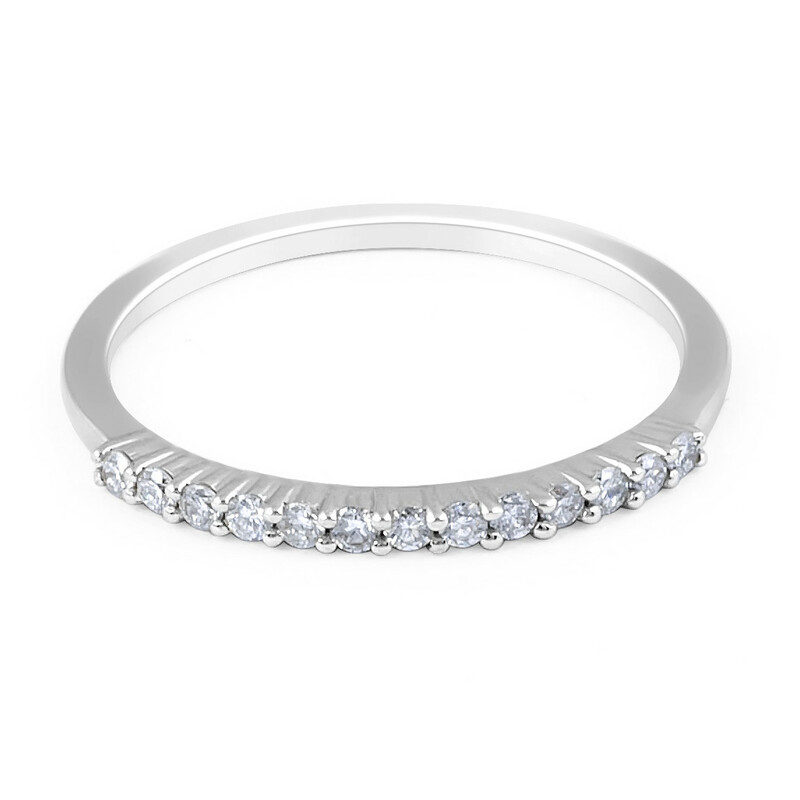 18 Karat White Gold Classic Style Share Prongs Set diamond wedding band 13 RD: 0.16 Carat Gold Weight: Band Width: 1.10 mm.